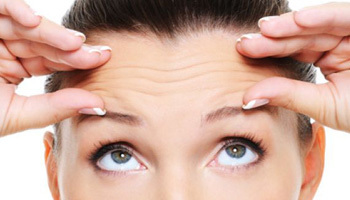 Dermal Fillers ……….Revitalising your face. 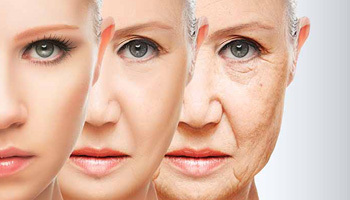 As our skin ages we gradually begin to lose some of it’s collagen and fat. This is what prevents our skin from sagging. As we get older our skin becomes wrinkled and more lines appear than we want and sometimes the signs of ageing just need a little helping hand. Dermal fillers can help give you back some of that lost volume and help plump it up to make it look more youthful and firmer. Lip fillers using products like Restylane Lipp and Juvederm will give back a nice natural shape and added volume. The type of dermal fillers we chose will depend on the results you wish to achieve. To make sure the right filler is chosen for your treatment, it is recommended that you let us know the areas of your body you wish to improve and for how long you want the results to last. 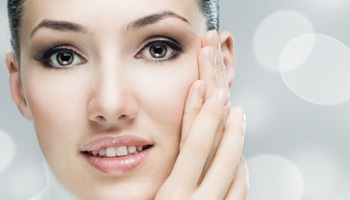 This will help us choose a dermal filler which would achieve the most suitable results. It can be seen instantly and can last for around 6 to 12 months depending on which dermal filler is used. Following your consultation and suitability for dermal filler treatment you will fill in a medical form/consent form. Photographs will be taken of the areas to be treated and surface area cleaned with an antiseptic solution. A topical anaesthetic shall be applied prior to treatment to make the procedure as comfortable as possible. Our products also have numbing properties within them. The whole treatment shall take around 1 hour and we shall supply you with a post treatment aftercare advice. At Re-Nu Skin Clinic we only used FDA approved dermal fillers which are Juvederm ,Restylane and Belotero .We believe the client deserves the best and it is a question of QUALITY. The key 5 principles from Allergan state. 1. Quality – When it comes to quality, not all products are the same and it’s important to understand how they may differ. 2. Research – Aesthetic products should be supported by science that have a proven track record. 3. Heritage – It is important to learn about the heritage, quality and reputation of the company that manufactures the product. 4. Usage – Knowing how widely a product is used by patients and practitioners around the world can help reinforce confidence. 5. Satisfaction – Exploring other patients outcomes can help to select the right product for the best results. Fill minor to moderate lines. FDA approved dermal fillers is all that our clinic will use. Below is a list of them. As with any medical procedure, there are risks involved with the use of dermal fillers. That is why it is important for you to understand their limits and possible risks. Any soft tissue filler can cause long-term side effects, permanent side effects, or both. However, most side effects associated with soft tissue fillers happen shortly after injection and most go away in less than two weeks. Swelling and pain after hand treatment may last a month or more. In some cases side effects may appear weeks, months or years after injection. Allergy testing is required for particular types of filler materials, such as those taken from animals (e.g., cows, rooster combs). If you choose to have these fillers removed through surgery, you may experience the same adverse events typically associated with surgery. You should be aware that it may be difficult to remove the filler material. Muscle relaxing treatments such as Azzallure or Vistabel use prescription only medication specific to you. They are injected into the muscle using a dose specific method. We will use our experience in which dose we think is required however we aim to see you back for review around day 14-21 to determine the relaxation and if further dose if required. We can successfully relax muscles by this method therefore reducing the amount we move in the area treated. Prescription drugs can be used in many different places around the face and the common places for it to be used are around the forehead, the frown lines, the crow’s feet, nasal (bunny) lines and the neck. By giving prescription drugs to the neck we can also lift some of the face muscles. When we use Azzallure to reduce wrinkles, it is being used outside of its licence as a wrinkle remover and we will inform you about this and ask you to complete a consent form acknowledging this.